The new bridge connection over the Reedy River in Cancer Survivors Park is now open on weekends. That section will still be closed during the week through the summer as work continues on the remaining park features. 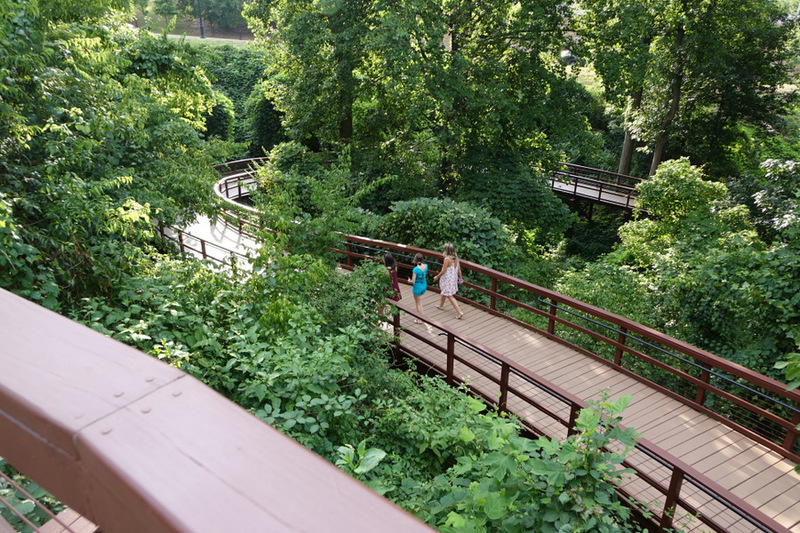 The trail linking Cleveland Park to Falls park via Cancer Survivors Park is expected to be open on weekends starting June 10. It will be closed during the week as the rest of Cancer Survivors Park is completed. Latest progress on the Cancer Survivors Park on the survivorship center / celebration pavilion structure. The new bridge over the Reedy River in Cancer Survivors Park now has a concrete surface. 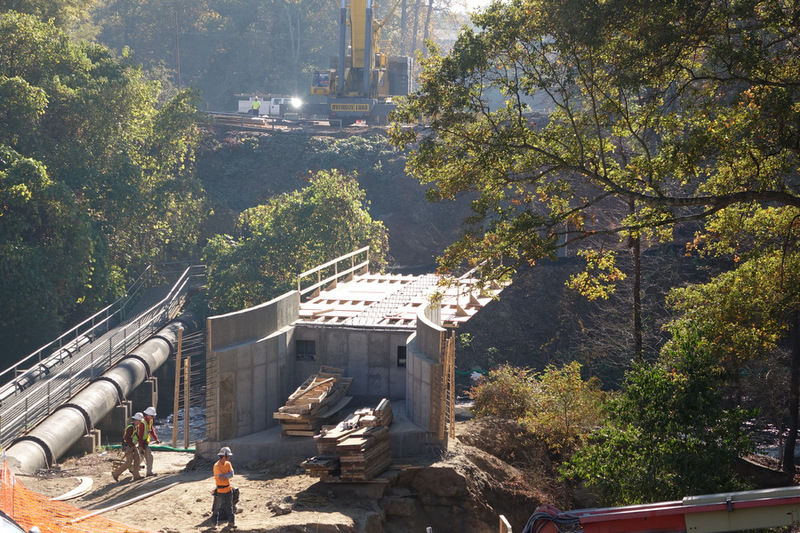 This bridge will also carry traffic from the Swamp Rabbit Trail that passes over the river. 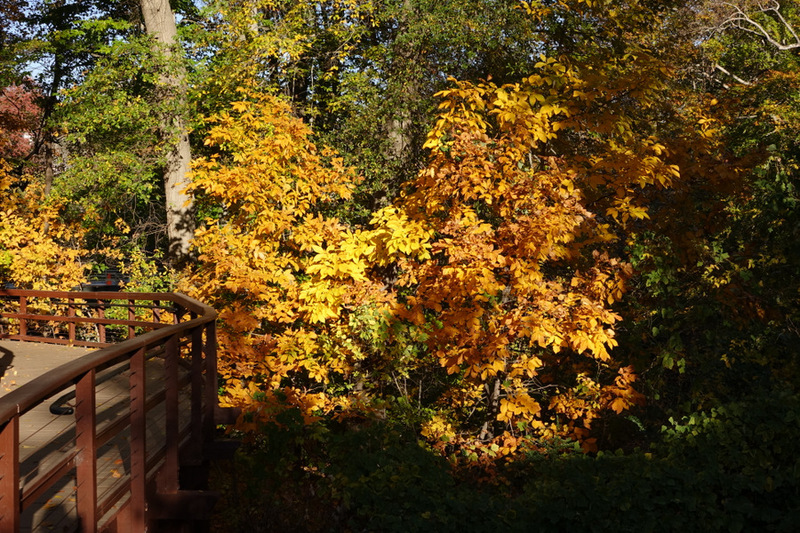 Bright Fall foliage along the bridge in Cancer Survivors Park. The bridge over the Reedy River in Cancer Survivors Park is taking shape. The construction of the second phase of Cancer Survivors Park is in full swing. 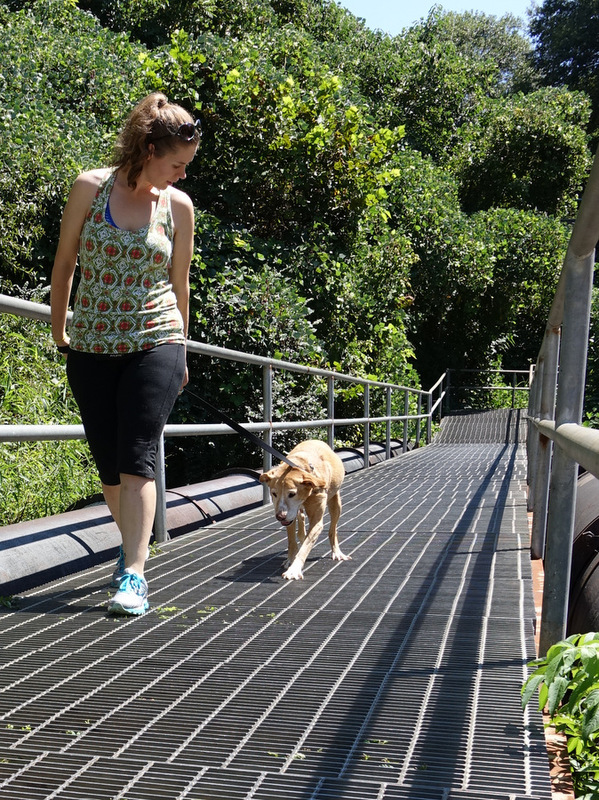 …And good riddance, with no one happier to say Goodbye than pets who need to be urged to cross the scary industrial clattering and occasionally icy slippery bridge over the Reedy River. 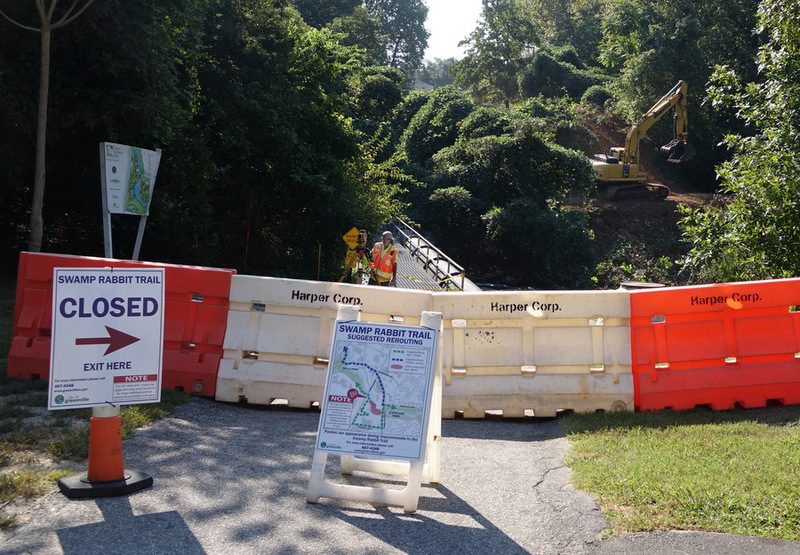 The Swamp Rabbit Trail over the “Cheese Grater” bridge has now been closed for the next several months while a new bridge and second phase of the Cancer Survivor’s Park is constructed in this location. 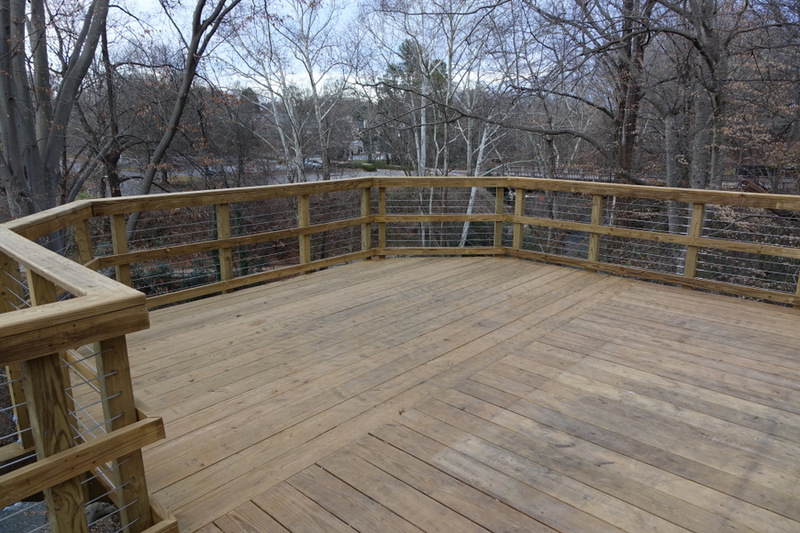 The new boardwalk in the Cancer Survivors Park has 3 viewing platforms along the way. The most striking view is from the Leap of Faith Overlook near the highest point. 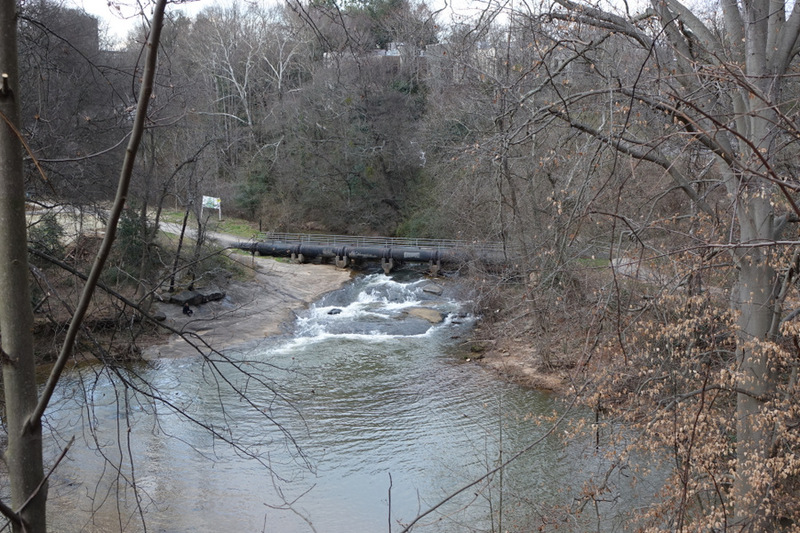 The view currently includes just the Reedy River and the forest, but in the future the second half of the park will add much more visual interest, along with removal of the invasive plant species among the trees and the re-introduction of native plants.